My First Day of Summer ?! My husband just reminded me that tomorrow is the first day of summer. He did this as I was proudly showing him the "Winter Wonderland" frames/borders I created today..... it does sound crazy! We celebrate Christmas here in Australia with many traditional images of Christmas in the snow, chimneys, grand hot roast dinners and Santa in his thick red winter coat. We do all this in the knowledge that the vast majority of our country never sees snow fall. We spend Christmas day with bright sunny blue skies and with very hot temperatures. 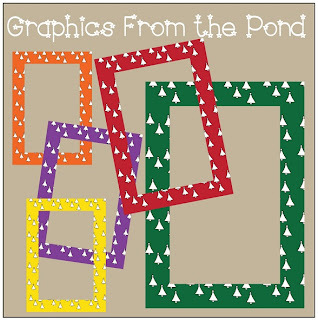 Anyhow, I have enjoyed playing around with creating graphics today, and would love you to download these for FREE. Just click on the image below. Maybe one day I can have a Christmas in a winter wonderland!! I hope you will like using these Christmas tree borders on your teaching and classroom resources. ﻿Click on the image above to find them! (thats Monday, US time for all my Aussie friends - and don't forget a bit of a discount for the dollar exchange rate - nice! 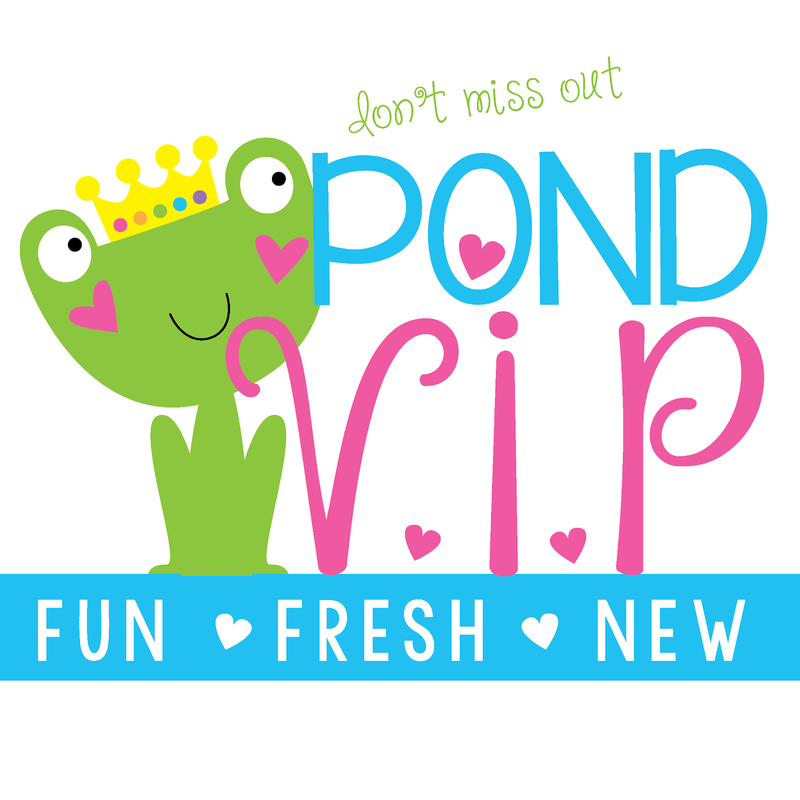 They will be taking 10% off your entire purchase if you use the discount code CMS28 at checkout! 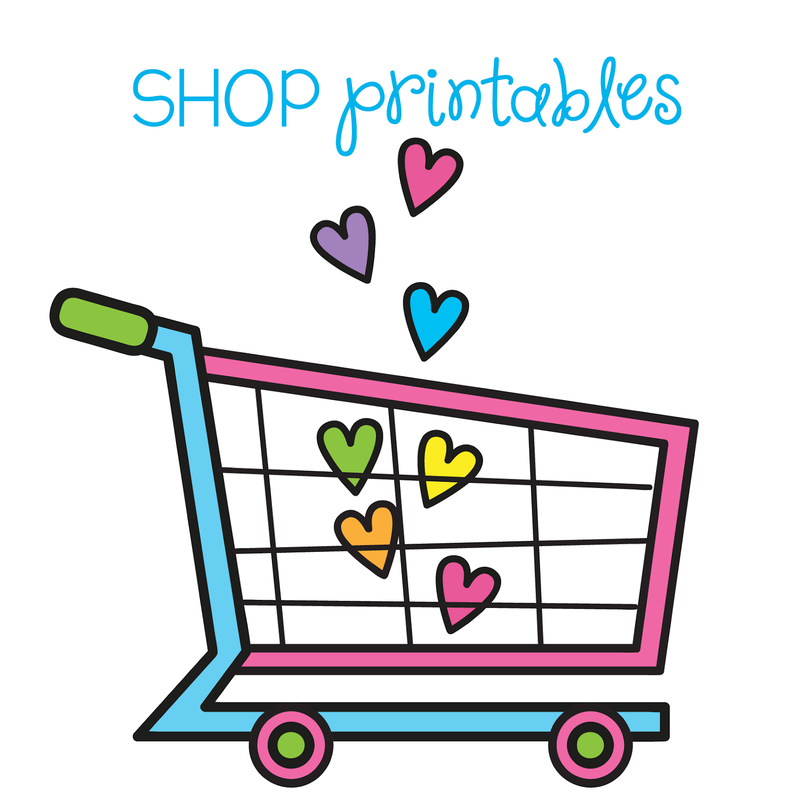 I will also be adding a further 15% off my products, so head over and start making out your wishlist! 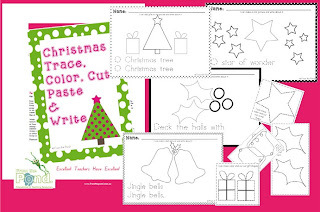 Our latest resource file is Christmas Trace Color Cut Paste & Write. 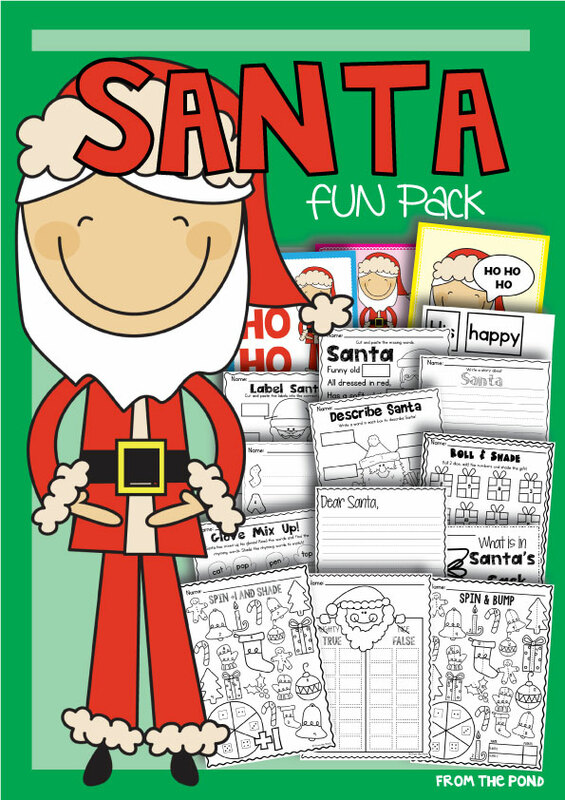 Your students can trace a simple shape, color a simple picture, cut a simple shape, paste to an outline and write a Christmas message. 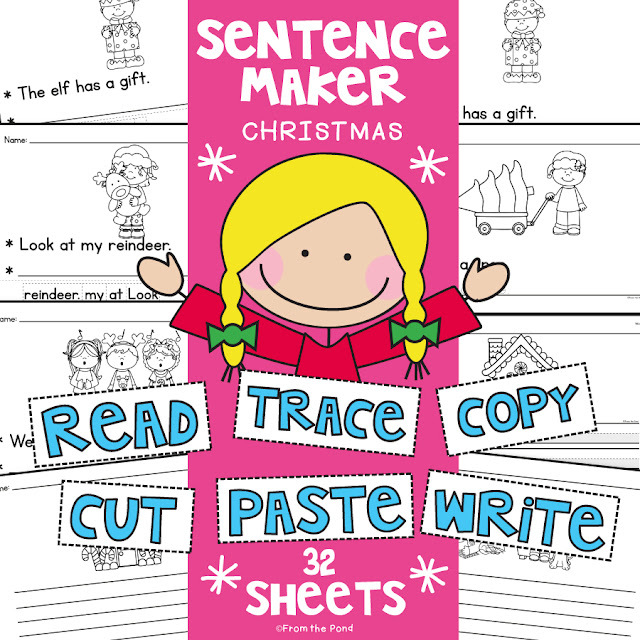 There are two selections for the worksheets - a "trace" and an "independent write" to cater for your different learners. 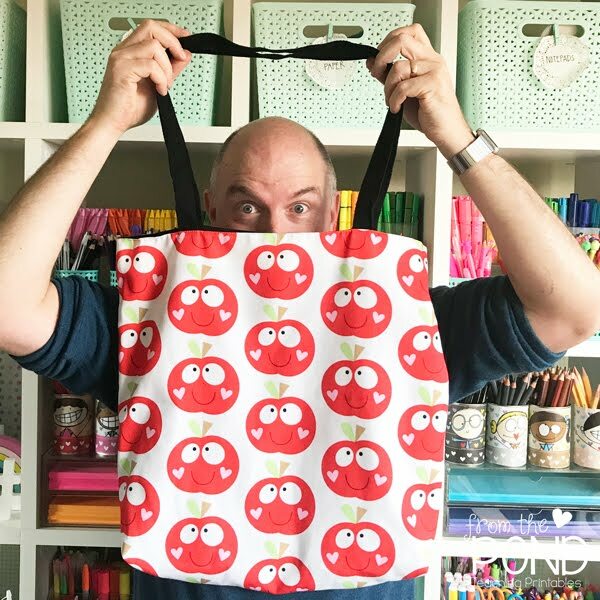 The exciting news is that if you would like this file, hold off to December 1st - I am giving it away for FREE in the 12 Days of Christmas promotion. Click on the image below to subscribe to Charity's email. 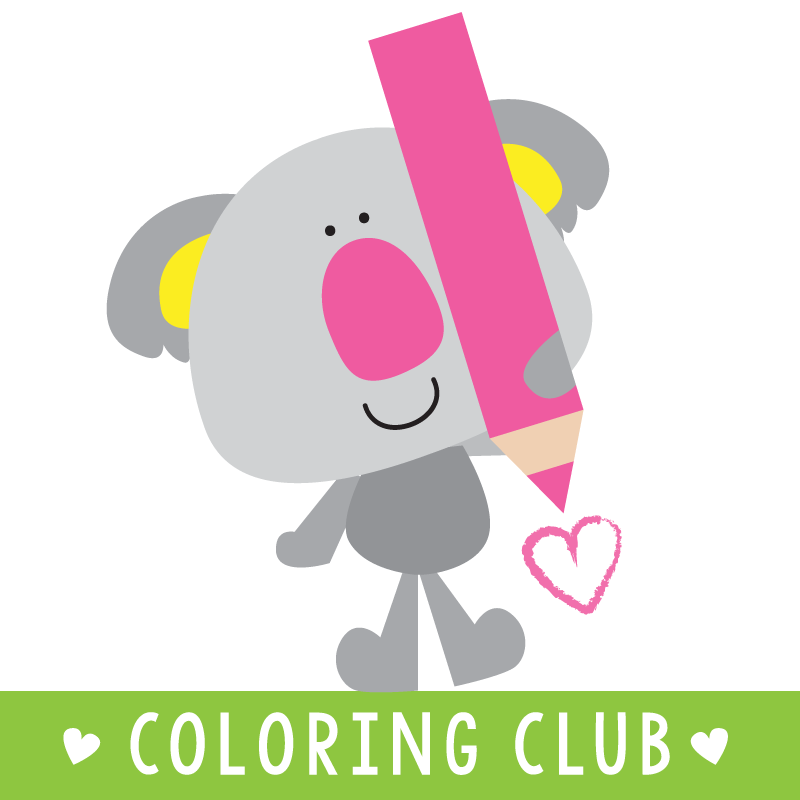 We have also just listed a FREE download to help you create your own cute teaching resource files! 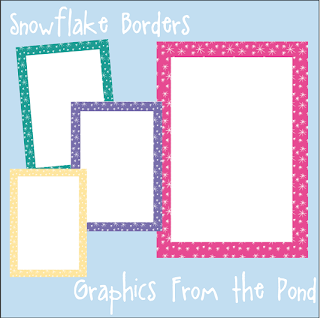 These are Snowflake Borders, click on the image below to download! Wow - that was a big Sunday for me! 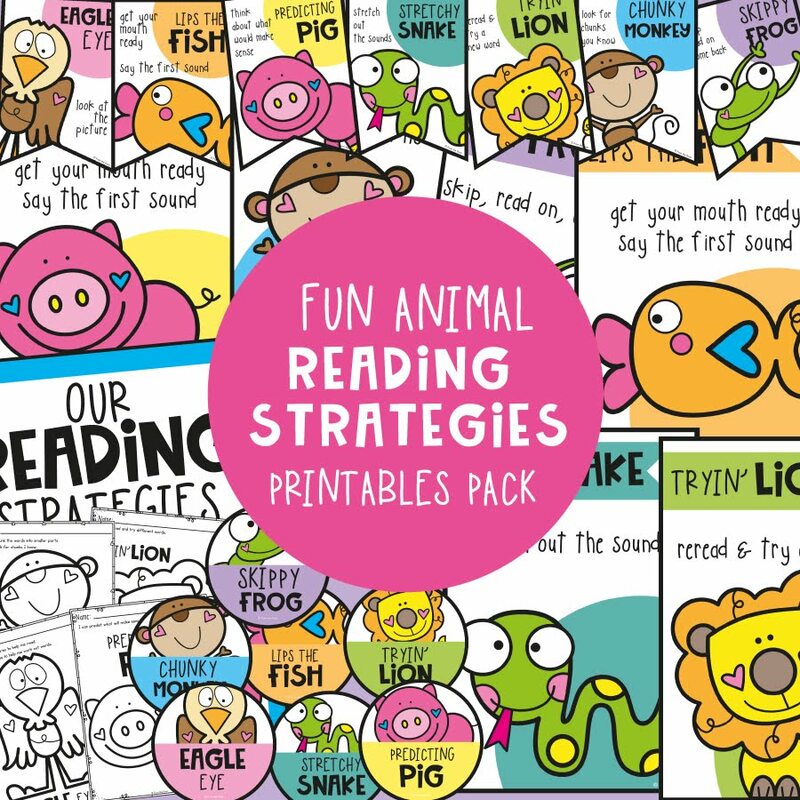 I love being able to create and share teaching resources and do hope that you enjoy using them. Have a wonderful week, and it would be great to hear from you! 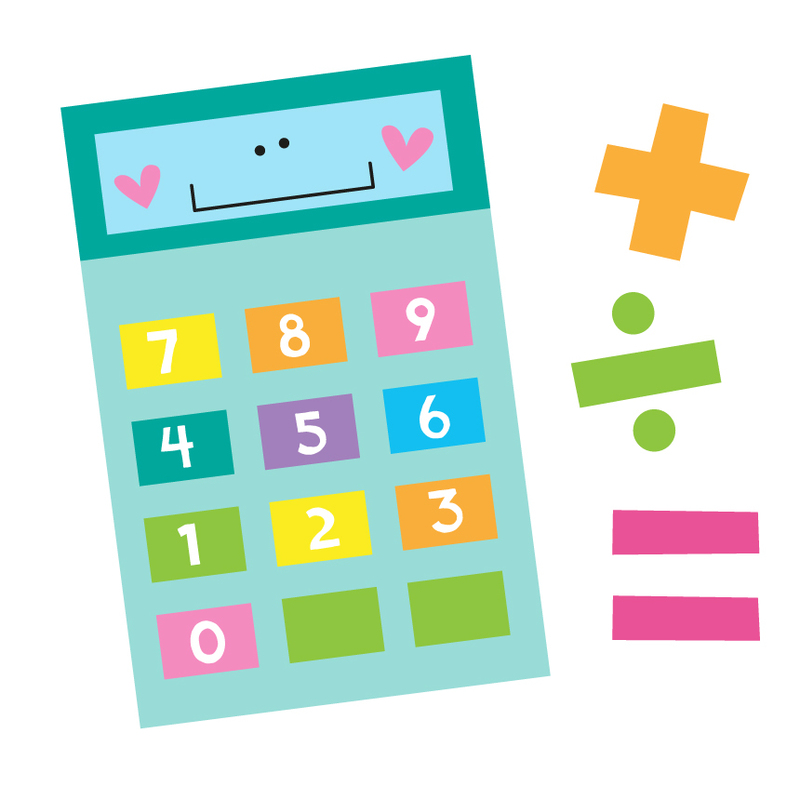 I have had so much fun creating this new activity for helping students with subtraction. 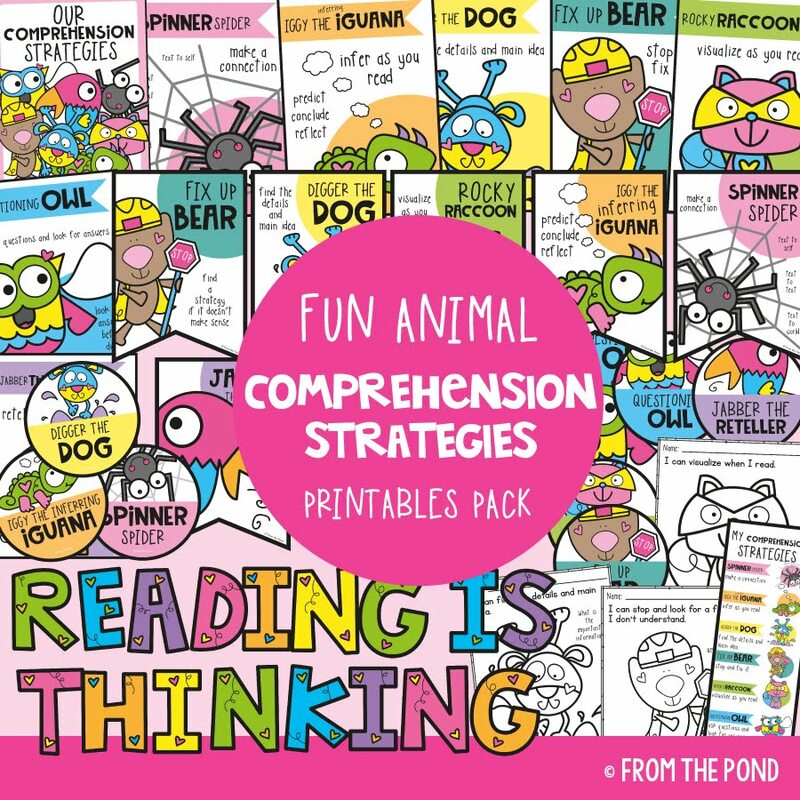 The file contains game boards, question cards and a worksheet. Santa will need help loading his sleigh and finding out how many gifts are left over after some are dropped! 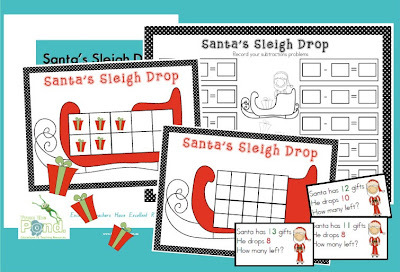 I have included activity variations so you can cater for a variety of students - those that are just beginning subtraction should only use the 10 frame boards and cards. There is a 20 grid and cards for more challenge. 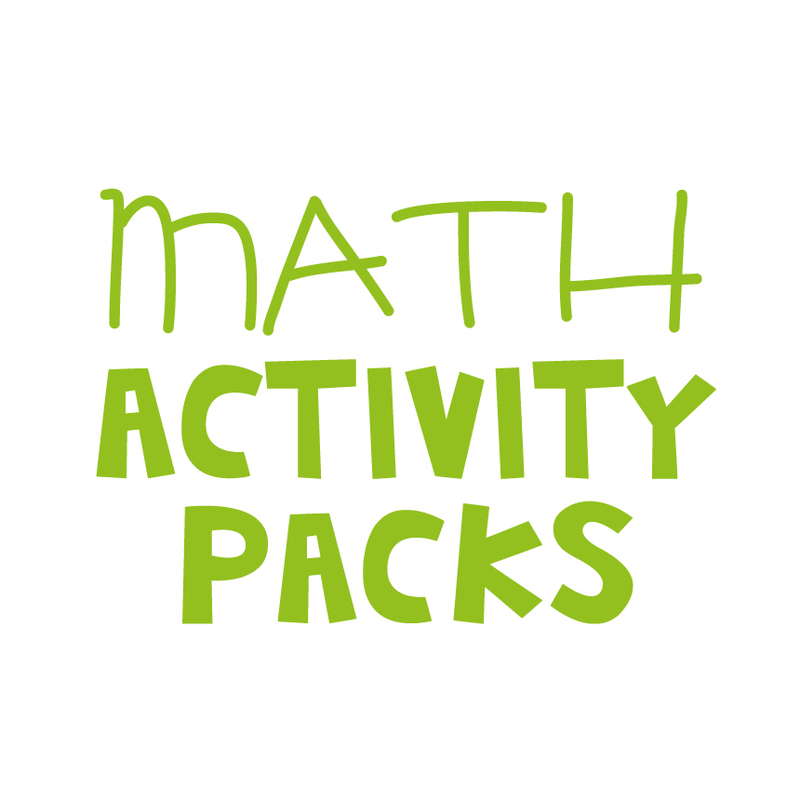 For some students, you may wish to omit the worksheet and just have lots of fun with the hands-on materials. 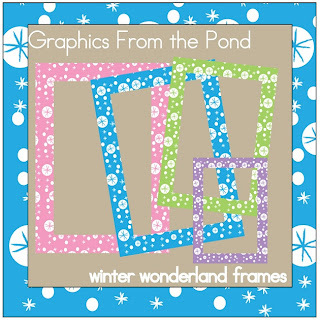 I have made this file free for now - please consider taking a look at our other cute Christmas resources and leaving some feedback on TpT. 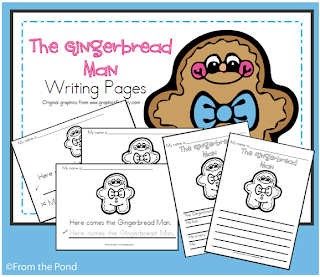 Gingerbread Man Writing Pages - FREE File! I am still teaching a 10 week unit of work on Fairytales. This week we are set to start a mini-unti on the Gingerbread Man! I love this one! Could it be that I do enjoy eating gingerbread so much... or just perhaps the memories of making gingerbread men with my mum when I was a little girl. My students always LOVE acting this story out...and there are a ton of very cool art and craft ideas. There are great downloads at Sparklebox for this story too - and they are all free. 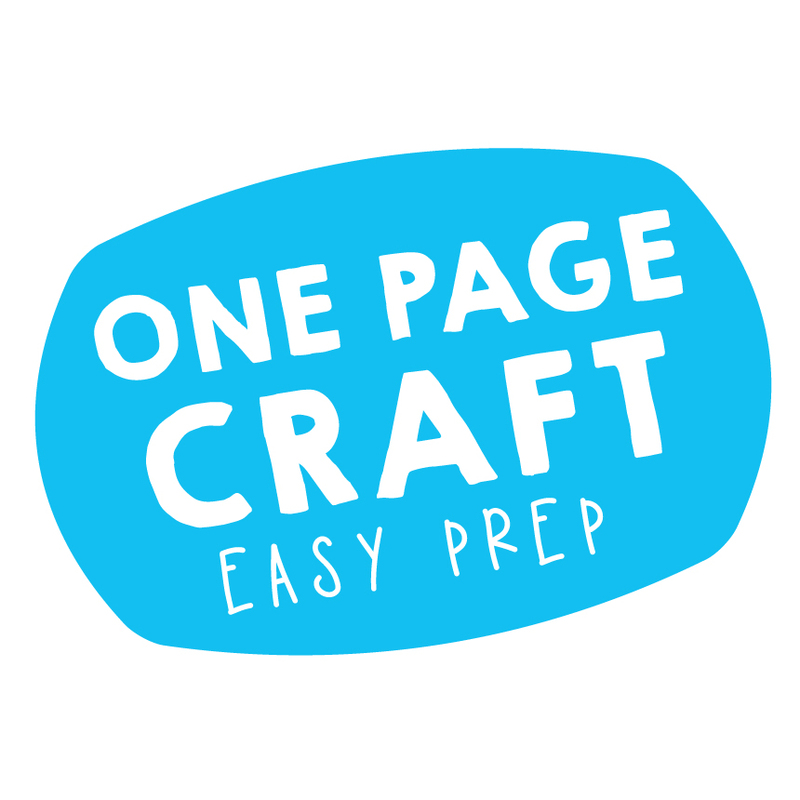 I have prepared a collection of writing pages for early learners to tie in with your Gingerbread Man work. I am providing it for you for FREE! Thank you so much for supporting and following my blog. I am constantly amazed when I check the "stats" to see the range of people from all over the world visiting and reading my blog, so thank you followers, and also those that just stop by! I do appreciate you all. 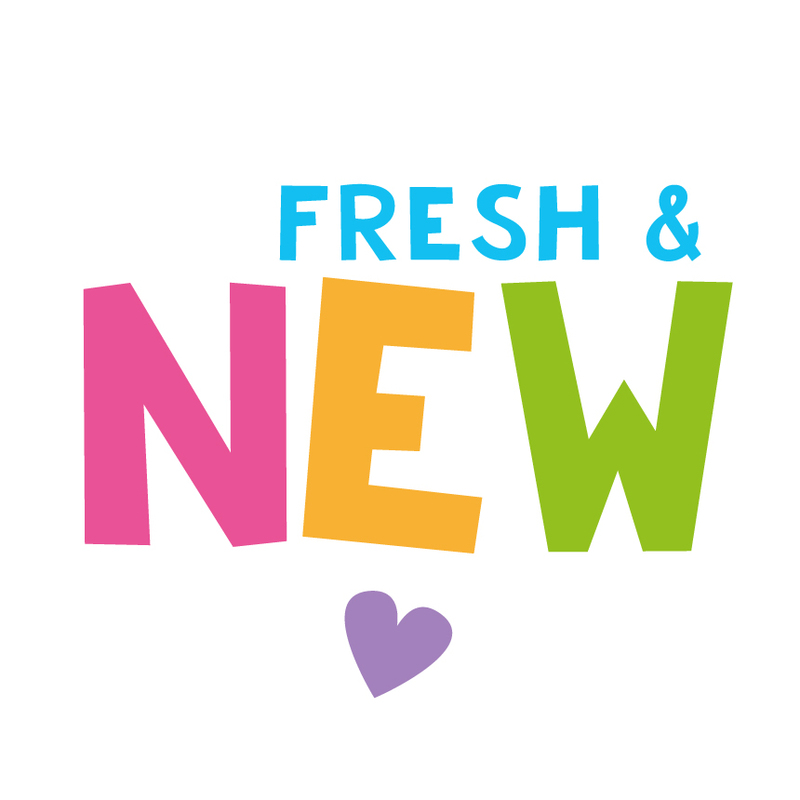 I have made the file in a font that is more suitable to Australian schools - for my Australian Friends, if NSW font does not suit you, send me a message and I will get one to you in your state font! 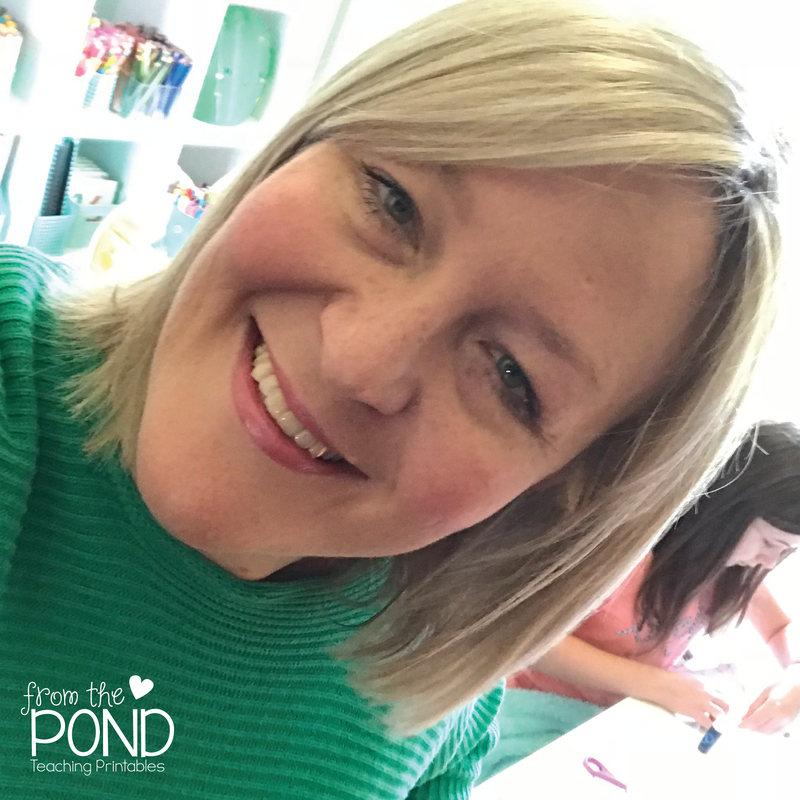 I am taking part in a 12 Days of Christmas promotion, run by the very organised Charity Preston at The Organised Classroom Blog. 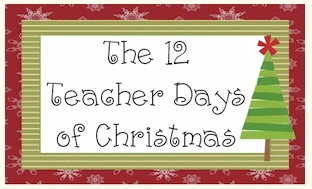 12 very generous sellers on Teachers Pay Teachers will delight you with a different free file over the 12 day promotion. 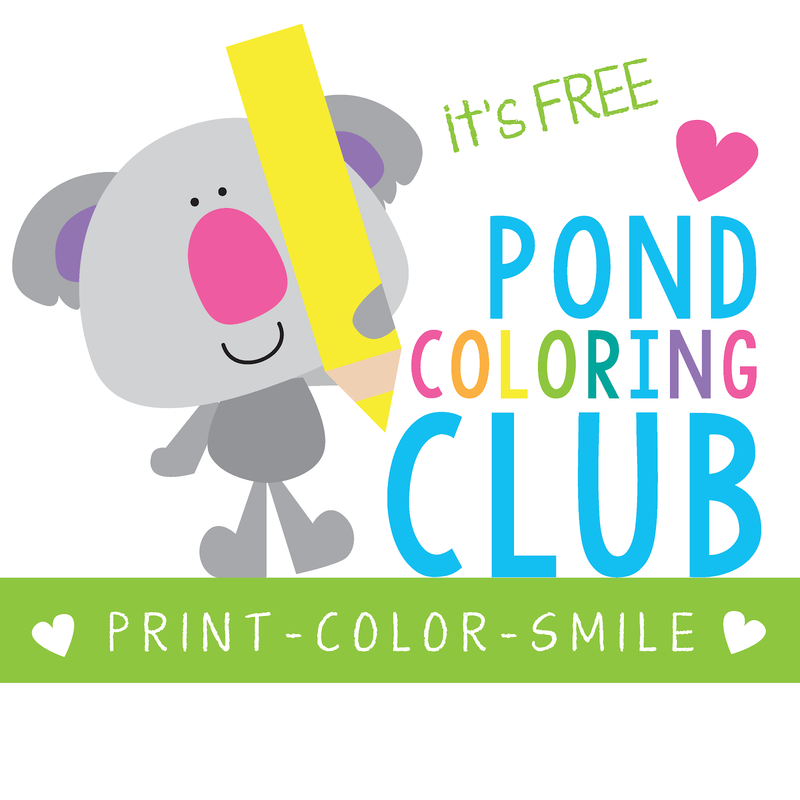 You will be able to download these free files directly from Charity's newsletter. You can subscribe to her newsletter by finding a subscription on her website. 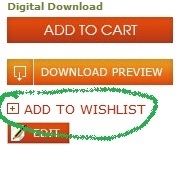 Click HERE to find it! Just sign up for her newsletter, and on December the 1st you will start to receive some great FREE Christmas surprises, starting with my free file! Too easy! 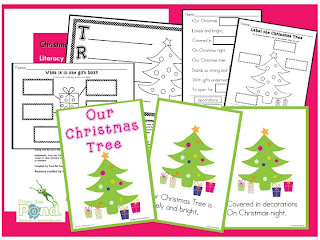 Head over to my website or TpT to find my latest file Christmas Tree Reading and Writing Packet. My website is the best option for my Australian friends, as it is available there in a range of State school fonts. I am always happy to modify my documents to suit your "font needs" - all you need to do is ask, and I will be on to it for you! Ho Ho Ho - I am getting ready for the festive season! Yes, I know its around 50 more sleeps, but Christmas is my favourite time of year, and I just can't help but start to feel jolly! And a very cute little Santa Reading and Writing Packet, that includes a rhyming text and worksheets.